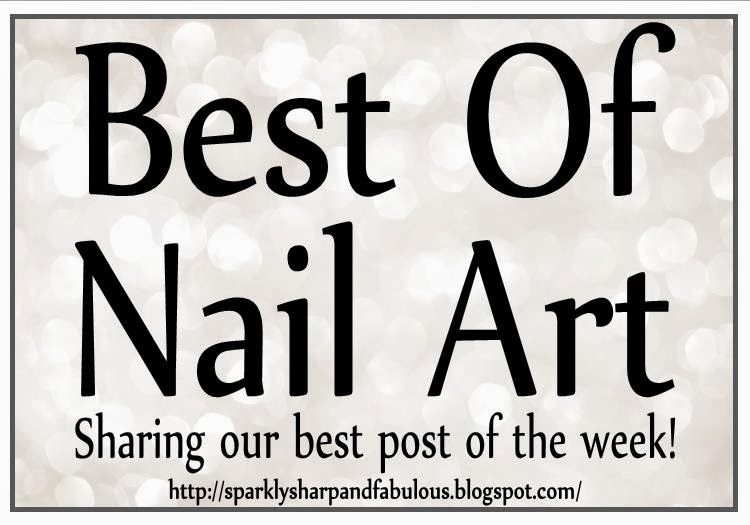 Welcome to the 10th “Best Of: Nail Art” link party of 2014! It is my hope that this will be the place you will come to share the posts you are most proud of, and see the creations that other nail artists have shared as well. 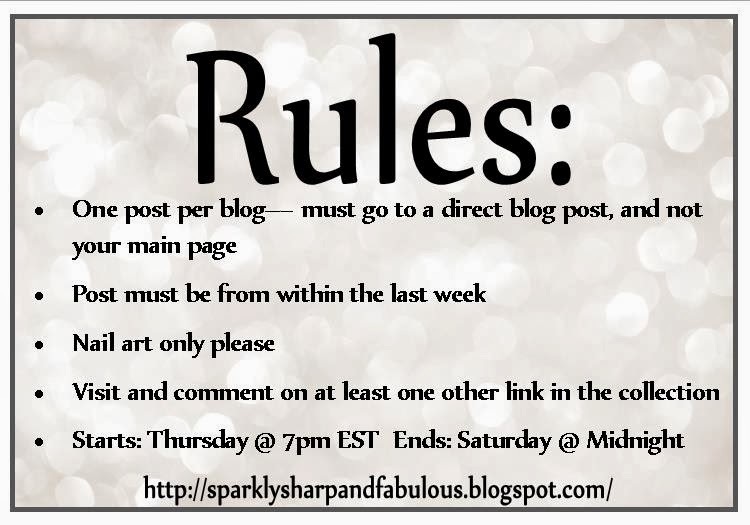 You can use links from Nail Art Gallery, Pinterest, Instagram, Twitter, blogs, Salon pages, etc. , whichever is easiest for you. Youtube videos are fine too, you just need to have an image to upload with the link. Any questions? Feel free to ask away in the comments down below, or get in touch with me through any of my social media sites (see the top right of the page for links!). See the best of last week’s nail art HERE. Make sure to schedule reminders in your phone, ‘cause this party is happening again: same time, same place, next week! Dinosaur’s in Love – Quick and Easy DIY Valentine’s Day Centerpiece – with GLITTER! Visit The Sparkle Queen's profile on Pinterest. What I'd Wear: Blue and Copper Fall Wedding Extravaganza! This site is a participant in the Amazon Services LLC Associates Program, an affiliate advertising program designed to provide a means to earn fees by linking to Amazon.com and affiliated sites in order to help maintain this website. Your support is greatly appreciated!